View cart “Condura Kaftan” has been added to your cart. 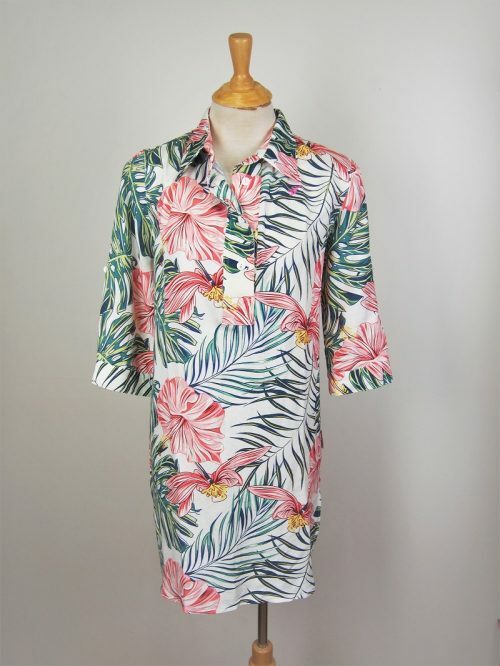 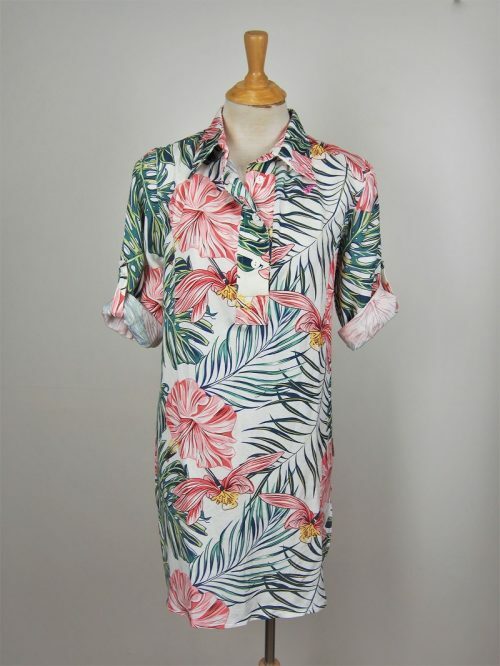 The Hibiscus shirtmaker dress is crafted from a super-soft linen and rayon blend and features a gorgeous tropical print. 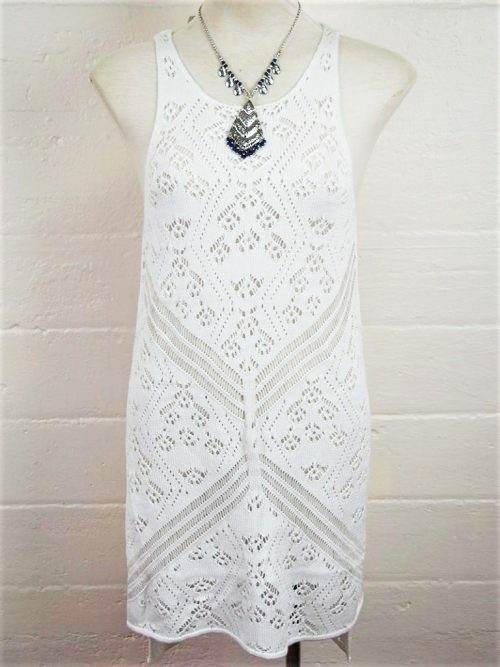 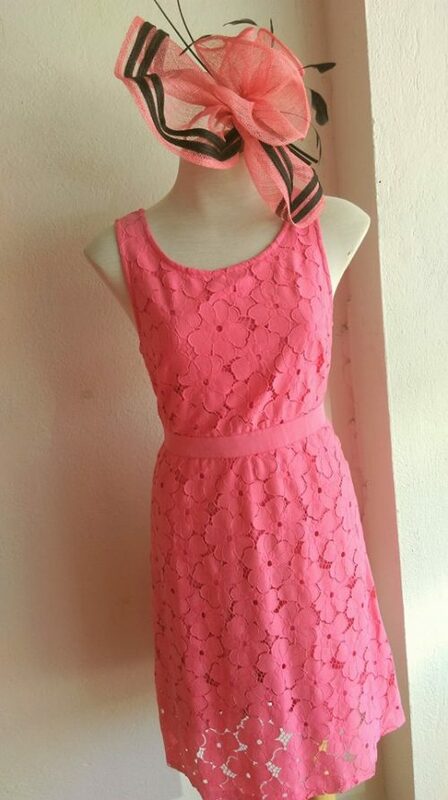 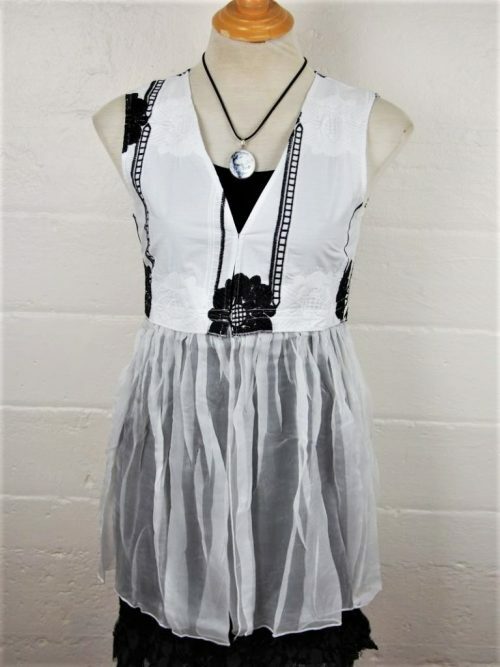 Simple and stylish, it can be worn all year round! Features 3/4 sleeves with button roll tab.